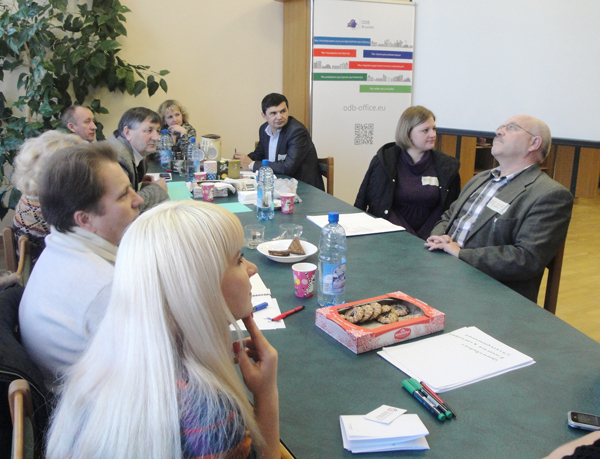 On December 16, 2015, within the framework of the Clearing House programme, ODB Brussels organized a seminar on Participatory Community Appraisal (PCA) method in the Belarusian town of Lyuban (Minsk Region, Belarus). The event brought together representatives of the Lyuban Regional Executive Committee, mass media, urban community, local businesses and the representatives of the local civil society organisations. Participants discussed ways to improve the quality of life in the city. A number of concerns of local communities were mentioned during the event, including lack of health workers, inadequate street lighting, and others. Attendees identified several priority areas of urban development and suggested ways and tools to resolve existing issues.